It may have started as an April Fool’s joke, but the advanced performance, superior breathability, and unmistakable style of the tactical kilt from 5.11 offers everything you need to keep your inner Highlander on his toes. The innovative design of our purpose-built Tactical Duty Kilt is easy to wear (simply wrap it and snap it), it stands up to surprise breezes, and it lets you show your friends what manly really looks like. 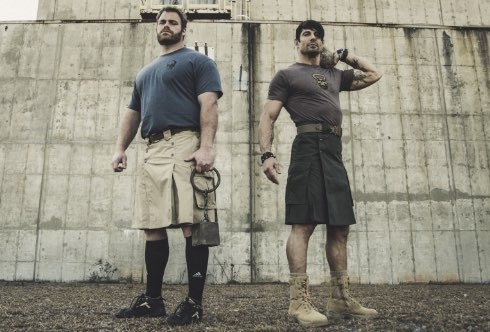 The 5.11 Tactical Duty Kilt: Why?! In 2012, we pulled what we thought was a great April Fool’s prank – we “launched” our tactical kilt by releasing a reveal video with no intention of actually producing the kilt. Turns out, the joke was on us. As soon as we released the video, it went viral and people started asking us how to buy the kilt. We started with a few thousand kilts, which flew out of the warehouse in no time. Because they sold out (and because there were still kilt-less people asking to order them), we ran a kilt promotion the next year…and the next…and, well, you get the picture. Eventually we started producing the kilt without waiting for a promotion or special occasion. 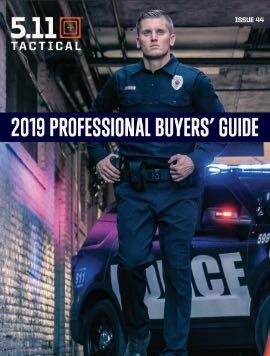 In fact, our customers have used their kilts for tactical training and even in first-responder bands – and the kilts have responded. "I wish I had pulled the trigger and bought one before the beginning of summer." Stain-resistant, water-resistant Teflon® finish that keeps your kilt fresh, no matter what you spill on it. Wide, sturdy belt loops to support a fully-loaded 1.75-inch tactical belt. Built-in D-rings to attach keys and other clip-on gear. Front-slant pockets to stash even more gear. Hidden pockets within visible pockets for more storage space than you know what you do with. Interchangeable TDU-style cargo pockets sized just right for a pair of AR mags or three full-size pistol mags. Triple stitching at the seams and all the major stress points for extra durability. Good coverage without added bulk in one stylish, streamlined package. Aside from the comfort and utility, the best part of our tactical kilts may be that $10 from each sale is donated to FBINAA Charitable Foundation and We Salute You Veterans Foundation. Rip-, stain-, and water-resistant construction stands up to the s*** life throws at you without looking worse for wear (just like you do). You need storage space for your magazines, maps, and beard comb – and the Tactical Duty Kilt has it all. Our kilt is pleated on all sides so you can run, jump, and take a knee to fire without being held up by tight-fitting, unflattering pant legs. The fit of our kilt hangs just below the knee, giving you the perfect mix of modesty and mobility. It’s hard to miss a guy in a kilt. Go on, show off your confidence (and your legs).